As Christmas approaches, it’s hard to believe it has already been more than 6 months since the launch of Magerealm. We would like to thank our wonderful players for all their continued love and support over these months. To show our appreciatiob, we would like to introduce some changes and improvements to Tarot Master. The Grand Reward for Tarot Master has been significantly improved and the requirement for Grand Reward has been increased from 20000 to 40000 points. Players will still get special rewards for reaching the 20000 mark, so think of it as adding a higher goal and reward compared to the old Tarot Master. Our newest Hero, Tempest Knight, will make his grand debut in Tarot Master. A fitting Hero to end the year on, Tempest Knight has the strongest physical damage of all heroes. This veteran warrior will be a terror on the battlefield. With high damage and lifestealing capabilities, Tempest Knight can trade blow for blow with tank heroes like Paladin and Frost Lord without losing ground. Charge target enemy to deal (180%/210%/240%/270%/300% ATK)/ Damage and stun for1s/1.25s/1.5s/1.75s/2s. Increase ATK by1%/1.25%/1.5%/1.75%/2%for every 1% decrease in HP, increase Damage Reduction by1%/1.25%/1.5%/1.75%/2%for every 5% decrease in HP. Slash all nearby enemies 3 times, dealing (240%/270%/300%/330%/360% ATK) Damage with each strike. Deals180%/200%/220%/240%/260%ATK +4%/5%/6%/7%/8%Max HP damage to target, and remove all shield buffs and Invulnerability buffs from target. When taking fatal damage, retain a small amount of HP and increase lifesteal by40%/50%/60%/70%/80% and ATK SPD by80%/100%/120%/140%/160%, lasts for 6s and shortest recovery interval is 45 seconds(won't be affected by CD cooler skill). When the buff takes effect, you immune to all control skills. Charge target enemy to deal (180%/210%/240%/270%/300%ATK) Damage and stun for1s/1.25s/1.5s/1.75s/2s, additionally reduce target's DEF by 40% for 5s. Slash all nearby enemies 3 times, dealing (240%/270%/300%/330%/360%ATK) Damage with each strike, additionally reduce their ATK by 40% for 5s. When taking fatal damage, retain a small amount of HP and increase lifesteal by40%/50%/60%/70%/80%and ATK SPD by80%/100%/120%/140%/160%, lasts for 10s and shortest recovery interval is 45 seconds(won't be affected by CD cooler skill). When the buff takes effect, you immune to all control skills. During the event these items will be at the greatest discount yet, and we hope players enjoy the new Tarot Master over the holidays! 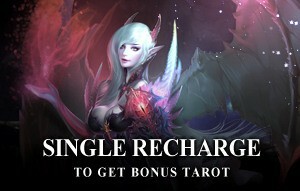 To help players increase your hero’s level, Angel Augment and Angel Promotion, now we produce some new items in Tarot Master. Super EXP Potion: Use to increase hero level directly for Heroes of lvl.50 and above. Gold Free Voucher - Angel Augment: Use to Augment Angel(Rank 6 and above) without costing Gold. 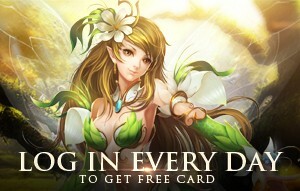 Gold Free Voucher - Angel Promotion: Use to Promote Angel(+51 and above) without costing Gold. To express our thankness for your long time support. The special Christmas Tarot Master now offers more points in. Magerealm_Merry Christmas to all players in Magerealm! Magerealm_Ultimate Fashion Lucky Wheel is coming!